When I mention my research on moss (bryophytes), it’s not unusual to be asked “why do you study moss?” Such questions likely arise because, for many, moss is considered to be of little use. However, in reality, moss plays a vital role within ecosystems and is valued as a biological indicator of the environment. Unlike the methods by which most vascular land plants gather nutrients, mosses use their entire surface to exchange matter and so are known to be highly sensitive to changes in the environment. Their role as a biological indicator has placed them within a taxonomy that is among the first in the ecosystem to react to environmental change. Thus their environmental responses to change as well as their role within the ecosystem are important indicators that enable us to forecast and evaluate the effects that human activity and changes in the global environment have on ecosystems. In addition, comparing the diversity of mosses to that of other biological groups may shed light on vital maintenance and management methods for a healthy ecosystem — findings that could not have been found through isolated observations of individual groups. In recent years, research on the environmental response of mosses and on the conservation of biodiversity, particularly in urban areas that reflect greater human activity, is gaining attention. A series of research studies on mosses in urban settings have revealed that in areas of greenery, factors such as size, management methods and soil history, as well as the diversity of a local micro-environment, all have an acute impact on the growth of mosses. Interestingly, this research has shown that of all the different types of urban greenery, the traditional Japanese garden, in particular, preserves a high diversity of moss species. So why do Japanese gardens support such a high variety of moss? The design and management methods of these gardens are considered to be contributing factors. One technique incorporated in their design is the inclusion of small hills, ponds and waterfalls that create a miniature landscape. Mosses are extremely sensitive to their environment and the various environments found in Japanese gardens are thought to result in a diversity of habitats for them. Next, upon examining management methods, we find that Japanese gardens are well-tended through careful weeding and raking, with many areas often designated off-limits to protect plants from visitors. Due to their small stature, mosses are especially vulnerable to trampling and are also easily affected by surrounding plants and fallen leaves that limit sunlight absorption. Therefore management methods in Japanese gardens can be said to be well-suited to the preservation of many differing types of moss. Even as moss diversity in cities is declining rapidly, these findings tell us that Japanese gardens have become refuges for moss in urban areas. Such gardens are not only interesting examples of the relationship between traditional culture and biodiversity but, hopefully, can also contribute to practical measures for the preservation of moss biodiversity. Japanese Gardens: a Haven for Moss Diversity by Yoshitaka Oishi is licensed under a Creative Commons Attribution-NonCommercial-ShareAlike 3.0 Unported License. Yoshitaka Oishi is a faculty member of Shinshu University and conducts research on the conservation of biodiversity and the ecosystem through a focus on moss plants. He earned a Ph.D. in Agriculture from Kyoto University with his research on the preservation of moss plant diversity. He has received numerous academic awards through his innovative studies that are fueled by his hopes of finding “that which only moss plants can tell us”. I’ve always loved mosses, both in the forest and in gardens. Indeed, in Japanese gardens I’m especially taken by their aesthetic charm. I have fond memories of visiting Kenroku-en in Kanazawa a couple of years ago. Now, in California, I strive to grow mosses in our landscaping and try to maintain them for as long as possible into the dry season. 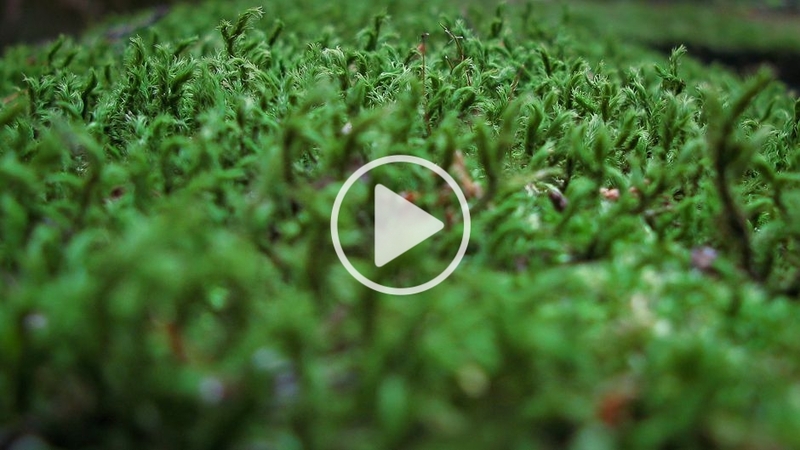 Through this visually lush and informative short film I’m heartened to learn about Oishi-san and his efforts to not only preserve mosses but to further explore the connections between biodiversity and culture, particularly in Japan. It is the cumulative effect of these small yet vital signs throughout Japan that bolster my confidence in Japan’s inherent resilience and leadership potential as we all struggle to meet the gathering global challenges. Thank you UNU and OW2.0 for another excellent installment. great film. very informative and beautifully producted. good luck Dr Oishi.